With the Farm Bill’s reauthorization deadline approaching, the Department of Agriculture recently released a set of legislative principles for the 2018 version of the bill. President Trump has previously called for reductions in farm subsidies. 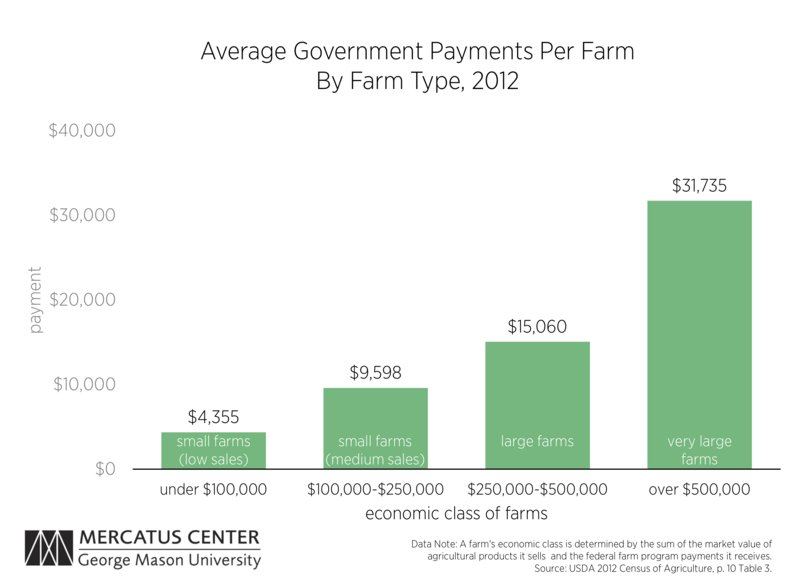 Why it matters: The 2014 Farm Bill alone accounted for two percent of all federal spending, and while the original intent of the 1933 version of the bill was to protect small farmers from price changes, modern subsidies primarily benefit large farms. The 20 percent of the Farm Bill dedicated to farm subsidies includes a variety of programs that transfer wealth from low to high income Americans, and are widely opposed by economists across the ideological spectrum. Over 85 years, the Farm Bill has become dominated by special interest groups who find it an effective way to capture generous subsidies. New research on the role political donations play in swaying Congressional votes on the bill confirms previous findings regarding lobbying efforts for the 2014 Farm Bill.